If you’ve ever seen your cat gagging and eventually cough up a hairball, then you know the situation. You know they’re no fun to clean up, and worse, they can cause health problems for your cat. What you might not know is what causes hairballs, what symptoms to look for and what you can do to prevent them. What is a Hairball in Cats? You already know that your cat spends hours every day grooming himself. What you might not realize is that your cat swallows a lot of hair in the process - though it does make sense when you think about it. If this is an occasional occurrence, it's not anything to worry about. However, the risk of larger clumps is that they'll block your cat's intestines and require surgery. You'll also want to know that despite their name, they're rarely in a "ball" shape -- at least not when they're in the middle of your floor. According to Cornell Feline Health Center "Despite the term, disgorged hairballs are not usually round. They are often slender and cylindrical, shaped more like a cigar or sausage than a ball. According to Richard Goldstein, DVM, an associate professor of small animal medicine at Cornell University’s College of Veterinary Medicine, a spit-up hairball’s elongated shape is imparted by the narrow food tube (esophagus) in which it develops or through which it passes on its journey from the cat’s stomach to the outside world. However, he notes, a hairball that is not disgorged and remains in the stomach will indeed be round — 'like a sponge or a rolled-up sock,' he says." Do All Cats Develop Hairballs? As you can guess, long-haired breeds like Persians have the greatest tendency toward hairballs, though any cats can develop them because every cat sheds. The risk is that the hairball can create an internal blockage and require emergency surgery. Far better to practice preventive maintenance such as regular grooming than to risk your cat's health! It also turns out there are other symptoms than the semi-routine retching you may have encountered. Any of these are definitely reasons to make an appointment with your veterinarian to discover the source of the problem. After all, if the hair accumulates and causes an internal blockage, you can imagine how uncomfortable that could be. Any time your kitty stops eating or shows the above changes in litter box habits, contact your veterinarian because such such behavior changes can be early warning indicators of a range of health concerns -- including hairballs. There are also a variety of hairball lubricants on the market that can help prevent these entanglements. Ask your veterinarian for a recommendation. 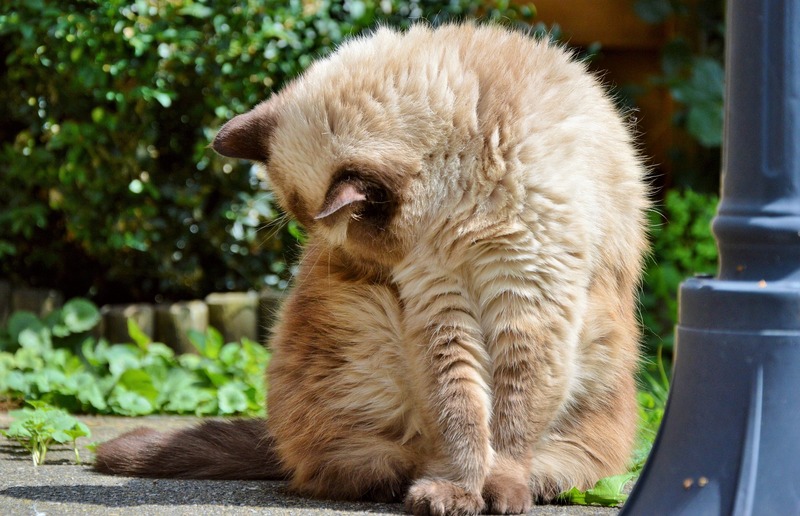 Now that you know how you can protect your cat from hairballs, you can snuggle your cat a little closer and know that hairballs don't need to become a serious health issue for you and your cat.